Albuquerque Beer Scene: Can We Get the Florida Weather Instead? Can We Get the Florida Weather Instead? If you've been following the craft breweries outside of NM, you've surely heard of Tampa, Florida's Cigar City Brewing. The makers of Jai Alai IPA and Hunahpu's Imperial Stout collaborated with New Belgium Brewing to give you a taste of what you've been missing...or have they? The beer sounds like a beer worth buying: New Belgium's Bier De Garde yeast along with Anaheim and Marash chiles, a hop bill of Target, Centennial, Cascade, Pacific Jade, Wakatu, and Simcoe, with the beer aged on Spanish cedar. But, for a 22 oz. beer priced at $13.99, I was expecting more- especially from the Cigar City side. There's plenty of New Belgium influence, with the Belgian yeast playing the starring role throughout. But the chiles are hardly noticeable, and it's not like I'm looking for heat like you get in Stone's Punishment beer- another chile beer that really is punishment to drink. And as a huge fan of Cigar City's Humidor Series of beers that are aged on cedar, I was hoping for a pronounced cedar influence. It's not quite there, at least not at the Cigar City levels I'm used to. It's still a pleasant enough beer to drink, though I won't be spending another $14 on this beer. Maybe we'll have more luck with a beer from "Colorado's First Microbrewery": Boulder Brewing. As long as it's not Mojo IPA, we may be in luck. 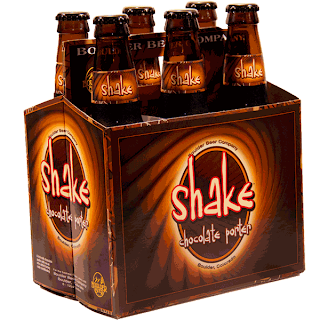 Shake is the latest to come to us from Boulder, and it's a beer you may want fries with: Shake Chocolate Porter utilizes chocolate wheat and cacao nibs to produce a beer with aromas of cedar and chile. Sorry, still hung up on that $14 I spent. 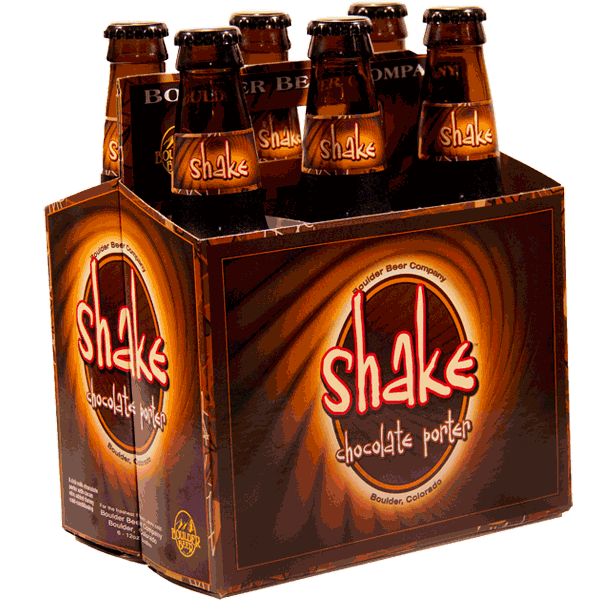 No, Shake promises chocolate, toffee, and caramel in the 5.9% ABV Porter. Haven't tried it yet so can't say. Once bitten, twice shy. Saw the Cigar City/New Belgium collaboration at Jubilation and Shake at Kelly Liquors on Wyoming, $7.99 a six-pack.